Here at JOE we're always thrilled to receive love from our blogger fans, and even more so to return the favor. Garmental.com is Chicago's local fashion mecca, cataloging the best of the best boutiques and the beautiful things they have to offer. Garmental has featured JOE several times in the past, and they've selected our Finders Keepers the Label "Stronger Than Me" playsuit as the perfect look for your Breast Cancer Awareness events this month. We couldn't agree more, and we love the way it's styled with tights and pumps! Get the look on SHOP-JOE.com and check out the post on Racked Chicago to read more. 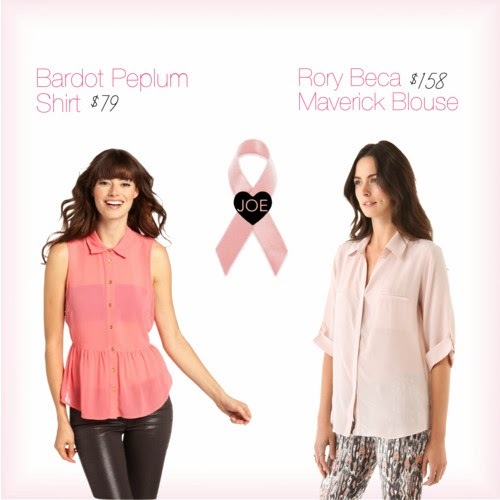 Have more than one event this month for Breast Cancer Awareness? No sweat! 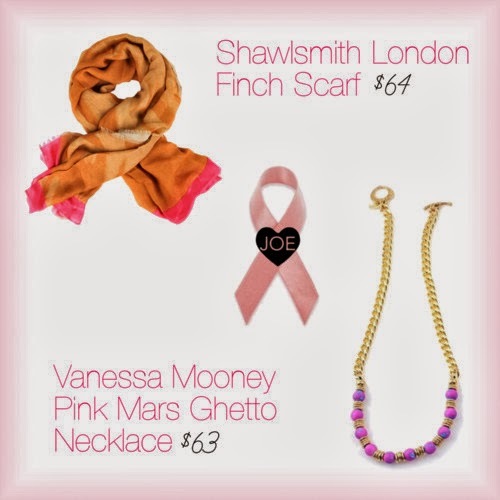 Check out a few more JOE pink looks you can rock to support the cause below. Get all of these looks at JOE or online at SHOP-JOE.com. To sweeten the deal, JOE is joining the fight against breast cancer with Process Pink this month and donating a portion of all Visa and Master Card processing fees to the National Breast Cancer Foundation. Think Pink!